So you just purchased a Winnebago Travato, you may be asking what parts and accessories do I need for it. We asked our RV parts team to identify the most popular parts and accessories Travato owners purchase. Check them out below. 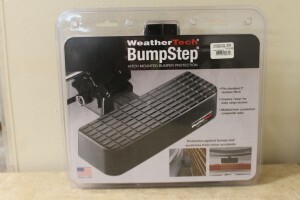 WeatherTech BumpStep – BumpStep is a trailer hitch mounted bumper protector that defends your bumper against rear end accidents, dents and scratches. Given its 12″ width, BumpStep can also be used as a step to reach the top roof of your vehicle. 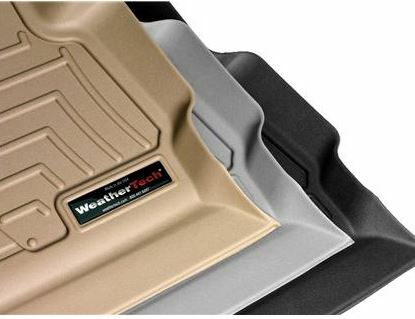 WeatherTech Mat – All-Weather Floor Mats are custom, flexible all-season vehicle floor mats with deeply sculpted channels designed to trap water, road salt, mud and sand. All-Weather Floor Mats are engineered to prevent curling and cracking in sub-zero weather. 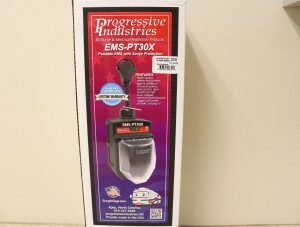 RV Surge and Electrical Protection Portable EMS with Surge Protection (30 AMP) – Electrical Management System (EMS) helps to protect your RV against voltage fluctuations, power surges and incorrectly wired shore power which can cause severe and costly damage to RV appliances and electronics. Improved design features include: state-of-the-art microprocessors, all weather shield assembly, rugged pull handle, secure locking bracket, built-in scrolling digital display and a tough Lexan® housing. Sleek, compact portable design makes unit easy to use and store. Plug-and-play application. 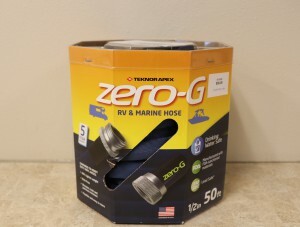 Zero-G RV and Marine Hose (50 ft.) – Research with hose purchasers overwhelmingly indicates a preference for hoses which offer light weight, easy handling, kink resistance and lasting performance. The zero-G™ advanced hose design takes these must-haves to a higher level than ever before. Compared to traditional heavy and professional water hoses the Zero-G RV and Marine Hose is up to 40% lighter weight than heavy duty vinyl hoses, has kink-free uninterrupted flow, is easy to store – small and compact, has tough G-Force™ woven fiber jacket resists leaks, abrasion and punctures, has a 600+ psi burst rated, provides consistent, high flow equal to a conventional 5/8” hose, flexible and easy to maneuver even in cold weather down to 35°F, and provides lead free, safe drinking water. Aluminess Promaster Tire Rack – A common modification for Dodge Promaster is to remove the spare tire from underneath the vehicle in order to put extra fuel or fresh water tanks. Aluminess has developed a bolt on tire rack that doesn’t mount through the rear door. 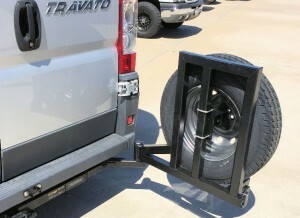 The tire carrier still lets you open your door past the 90-degree lock and opens and shuts with ease. 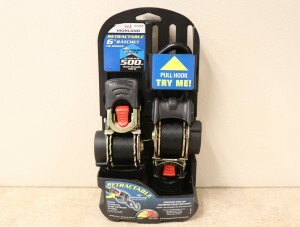 This easy to install tire rack works with most factory and aftermarket hitches and will hold tires of various sizes up to 80 pounds. Also available is a box rack that can hold any of our standard boxes. It can be used on its own, or with the tire rack!